Sign panels are used for clean-cut information conveyance in hospital parking lots and complicated metropolitan zones to streamline navigation. They’re also used as an affordable, simple signpost for start-up locations where cloud signs and chain-letter panels are less viable. Post and panel signs are usually placed around bushes, in grass, or around other verdant decor to project a presentable, stately aesthetic, making them also suitable for upscale locations. These types of signs come as a single post with a hanging sign or a panel fixed to the side, or as two posts with a sign suspended in the middle. This design is oftentimes used for law and real estate offices because it subtly communicates stability and consistency, helping to bolster first impressions for clients who are searching for these services. 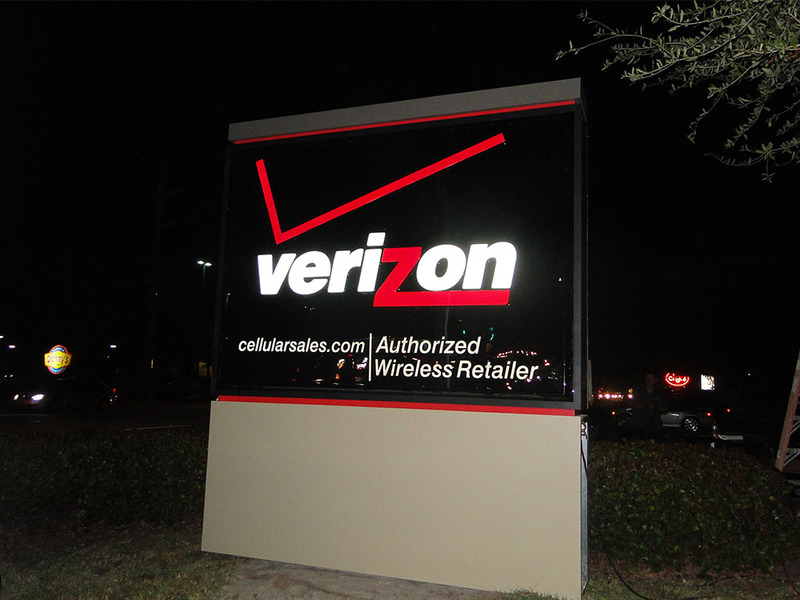 The low cost and mechanical simplicity of panel signs makes them a popular first choice to adorn your business’s front lawn. How Should I Utilize Them? In many cases, post and panel signs are used in tandem with stage lights affixed to the ground for nighttime illumination, which can cast a striking chiaroscuro with etched and textured panels. This is a benefit that cloud signs and chain-letter panels can’t put a stake on, since those types rely on back-lit letters and logos with little or no room for that third dimension of artistic expression. This boon of sign panels gives an already inexpensive design language even more breathing room in your budget, allowing you to achieve impressive aesthetic impact at relatively minimal expense. These signs are also usually surrounded by variegated flower bushes, attracting attention and swell impressions by potential clients passing by. The fact that a business cares about their outward look and can maintain a natural, organic flair to their location is significant to the decision-making process for someone who’s looking for your services. Are Post & Panel Signs Right For You? Deciding if panel and post signs are the right choice for your location is largely contingent upon the layout of the land around it. Metropolitan street-side storefronts have little or no space to set up posts unless they’re affixed to the building’s facades, making cloud and chain-letter signs a more natural choice in this situation. 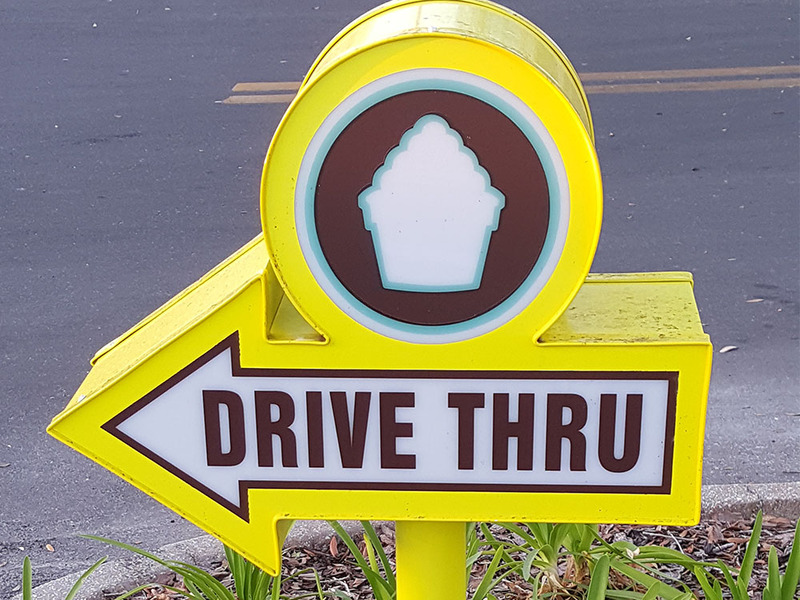 Independent, stand-alone locations in a more rural zone might use multiple sign types, with a panel sign closer to the road and a cloud or chain-letter sign on the store itself. This setup can draw customers from afar and establish more of a commanding presence for those who are already there. 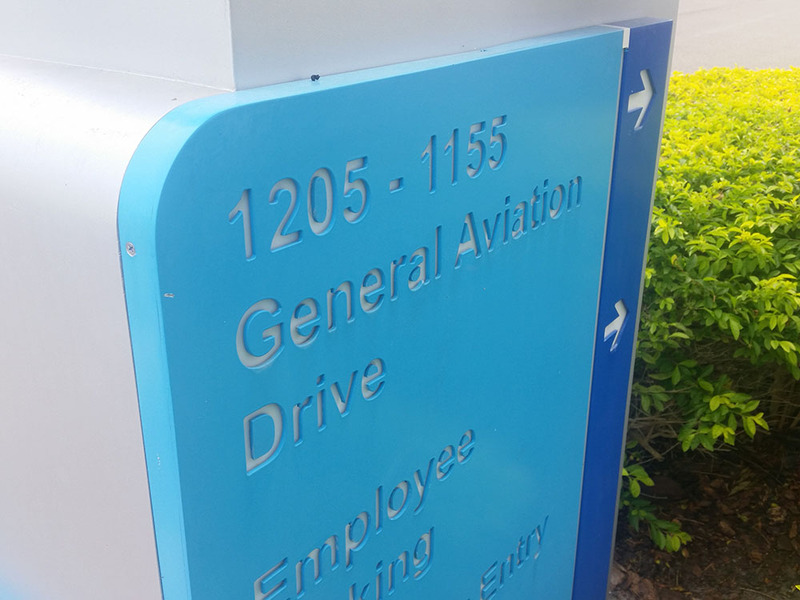 For people who are driving through wooded areas or zones that heavily obscure vision from afar, high-rise panel signs are also an option that’s commonly used by food and hotel joints to help point potential clients toward their point of business. These are, of course, used alongside cloud and chain-letter signs to identify the store for those who are closer to it.